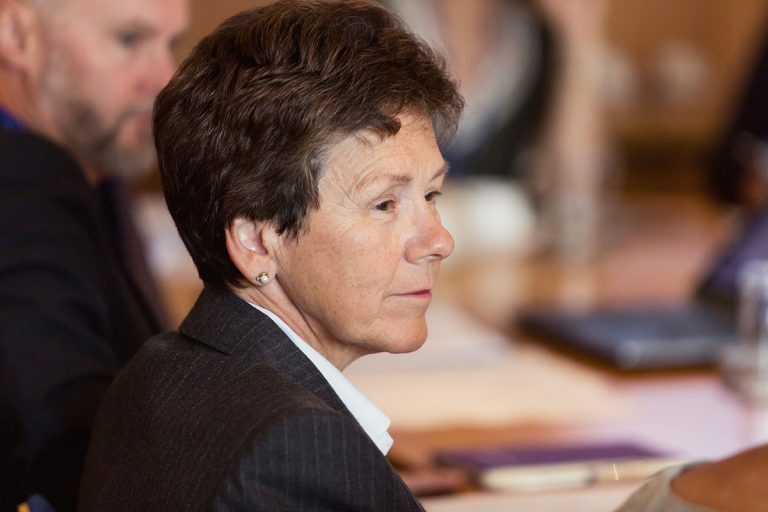 Ruth has worked as a non-executive director and chair on many boards in the charitable sector throughout the UK during the past twelve years and is currently Chair of our Board of Governors until 2021. She is conscious of the great heritage of the school and committed to the future development of education and of individual pupils and staff at Hutchesons’. Ruth brings a personal emphasis and passion in helping individuals flourish and reach their full potential whatever their background. A career within the Public Sector in economic development, spanning more than twenty years, Ruth has experience at director and senior director levels in the areas of Strategy Development, Customer Relationship Management, Innovation, Marketing, Communications and Public Affairs. A graduate of the University of Glasgow and a post-graduate of the University of Strathclyde, Ruth is also a trained mentor and mediator. Ruth has two children, both former pupils at Hutchie, married to Graeme, and was educated at Laurel Bank School. I was educated at Hutchesons’ Girls’ Grammar School from Primary 1 until leaving for Edinburgh University after 5th year. After gaining an Economics and Mathematics degree, I worked as an Investment Analyst in stockbrokers, Campbell Neill & Co. I then moved to stockbrokers, McIntosh, Griffin, Hamson in Melbourne for a year. On returning to Glasgow via South East Asia, then the Trans Siberian Railway, I became an international investment manager with Murray Johnstone, managing Unit Trust, Investment Trust and Pension Fund investments. After 12 years, I moved to Scottish Amicable Investment Managers as a European Investment Manager. A change of direction led to starting Sign Here!, a sign company with a business partner. We succeeded in winning Glasgow’s Start Up of the Year in 2000. Having sold the business, I was invited to mentor Women into Business and agreed to be Finance Trustee of Young Enterprise, Glasgow. I was also Finance Trustee of the Dance Foundation. I then worked for a charity, Homestart, where I set up and administrated a project funded by the NHS. I was then invited to join a new Specsavers store using my administrative, financial and payroll skills. The previous Rector, Ken Greig, then asked me to become Development Manager at Hutchesons’. Having previously served as Chair of the Development & Marketing Committee, I was considered to be suitable for the post. After four years, I, sadly, left for family reasons. I rejoined the Board of Governors as Chair of the Development & Marketing Committee in May 2018 and look forward to helping Hutchesons’ continuing to be a centre of excellence for bright children from any background. I am the Hutchie Board’s representative from the East. I hail from Edinburgh and went to school there; I studied at St Andrews University and lived for some years in Aberdeen. A Modern Languages teacher by profession, I spent a good part of my career teaching in Edinburgh schools (with some years in England in between). I was invited to join the Hutchie Board in 2014 having just retired after 16 years as Headmaster at George Heriot’s School, and was attracted by the similarities in history, ethos and aims between the two schools. My experiences at Hutchie so far have made the ‘commute’ entirely worthwhile and thoroughly enjoyable – it is a wonderfully welcoming school with a strong sense identity and community, proud of its traditions but forward thinking in its outlook. For my part, I have something useful to offer through my experience in education, and it is a privilege for me to have recently been appointed as Convenor of the Education Sub-committee. I am also frequently in Glasgow in my current capacity as a Blue Badge Scottish Tourist Guide and enjoy showing the city off to my visitors as much as I do Edinburgh. I am a Former Pupil of the school, having completed my primary and secondary education there, before leaving in 1982. I subsequently attended Glasgow University and graduated with a MBChB in 1988 before training as a Psychiatrist, and later as an Addictions Specialist. I am a Member of the Royal College of Psychiatrists and am Chair of the College Scottish Addictions Faculty and Chair of the Scottish Addictions Specialist Committees. 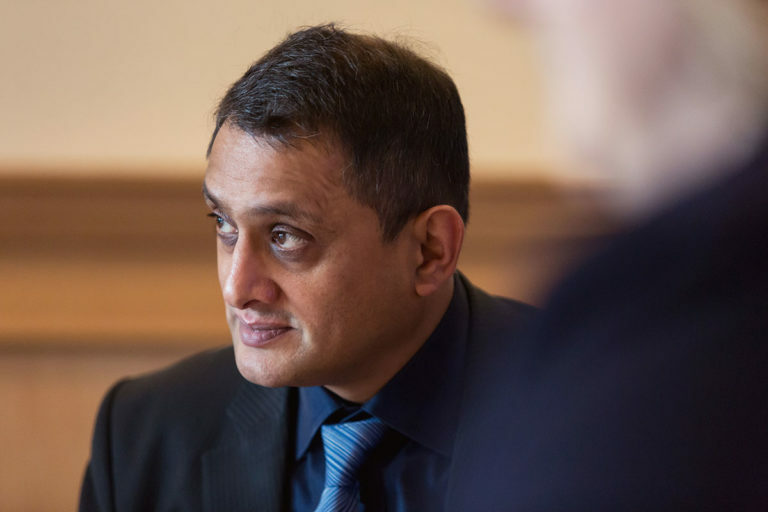 I am also the national Chair of the Service Users and Carers Group, am an external advisor to the Care Quality Commission, the General Medical Council and the Academy of Medical Royal Colleges and Faculties in Scotland. I had four children at the school which made me value the quality of the education and staff together with its diversity. Subsequently, I joined the Board of Governors in 2014 and remain a member of the Human Resources and Safeguarding Committees which I greatly enjoy and feel valued as a contributor. It has been a real pleasure to attend the Board and have found it both fascinating and rewarding. 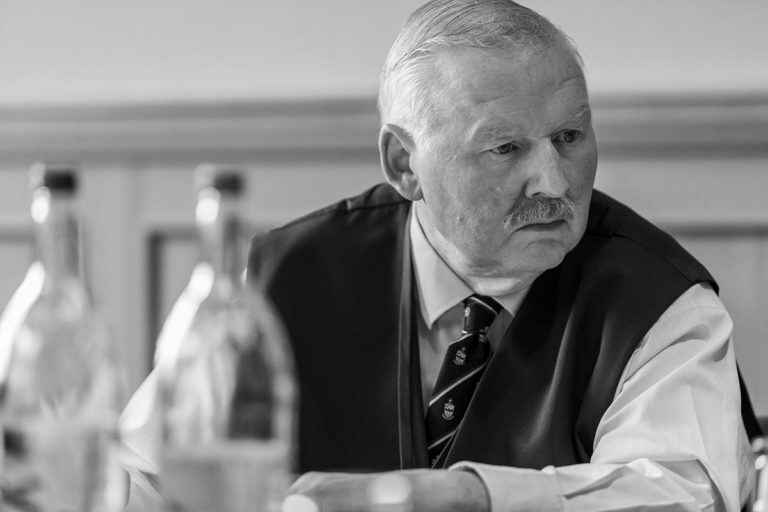 Douglas joined the Board in November 2015 as the representative of The Trades House of Glasgow and is currently Convenor of the Property Committee. Douglas was educated at Kelvinside Academy in Glasgow but has wider family connections with Hutchesons’ and his daughter is currently in S1. Douglas graduated from Paisley College (now the University of the West of Scotland) with a BSc in Land Economics in 1987. He is a Chartered Surveyor with over 30 years of experience in the Scottish commercial property market. Following some 15 years with international real estate consultants JLL, latterly as managing partner of the Glasgow Office, he co-founded Kintyre, a property investment and asset management company. In addition, he has recently become involved with property-tech specialist Singer Vielle in Scotland who are actively involved in the sale of commercial property investment via their on-line digital sales platform. 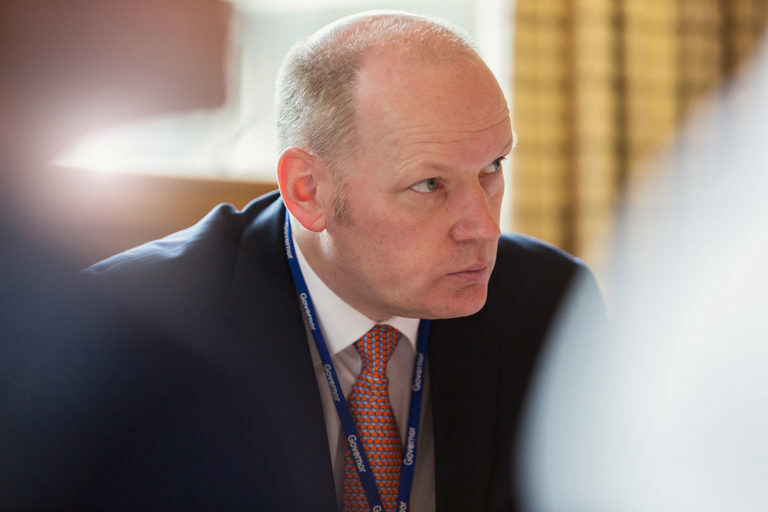 Since joining the Board Douglas has focussed on ensuring that the current and future operational needs of the School are fully considered, debated and implemented at both a strategic and operational level. Dr Hilary Carswell BSc (Hons) Pharmacy, PhD. Hilary was educated at Craigholme School, followed by the University of Strathclyde where she attained a BSc in Pharmacy. Hilary did her pre-registration year to become a pharmacist at the Glasgow Royal Infirmary. Subsequently, she completed a PhD in Pharmacology at the University of Glasgow where she studied the release of protective substances from the brain. This sparked her interest in research into neuroprotection for stroke which she pursued as a post-doctoral researcher at the University of Glasgow. Hilary then acquired a Research Lectureship at the Institute of Pharmacy and Biomedical Sciences, University of Strathclyde, where she is currently based as a Senior Lecturer. Her research focuses on repairing the brain after stroke, her teaching contributions span both pharmacy and biomedical sciences and she was recently awarded the Teaching Excellence Award for Best Teacher in Faculty of Science. 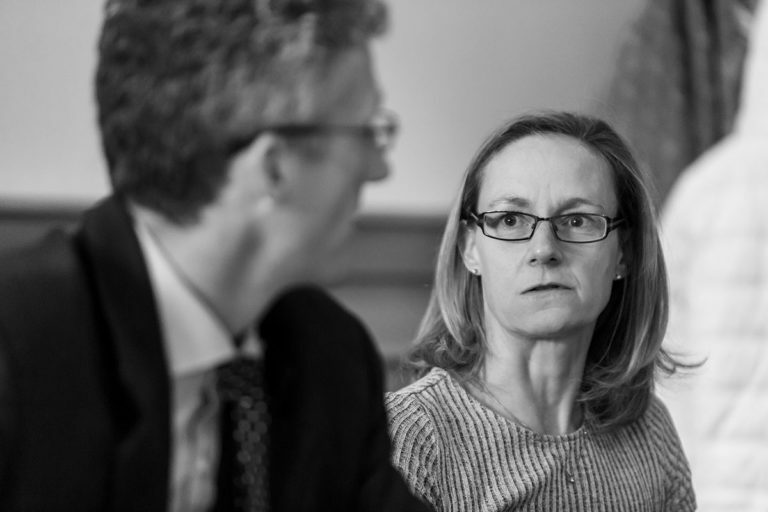 Hilary is honoured to be on the Hutchesons’ Educational Trust Board and Education Committee which she joined in January 2017 and is highly motivated to maintain Hutchesons’ strong academic track record and help every child flourish. Both of her children enjoy Hutchesons’ and, given the hard work of the staff, she feels passionate about being able to give something back to the school. 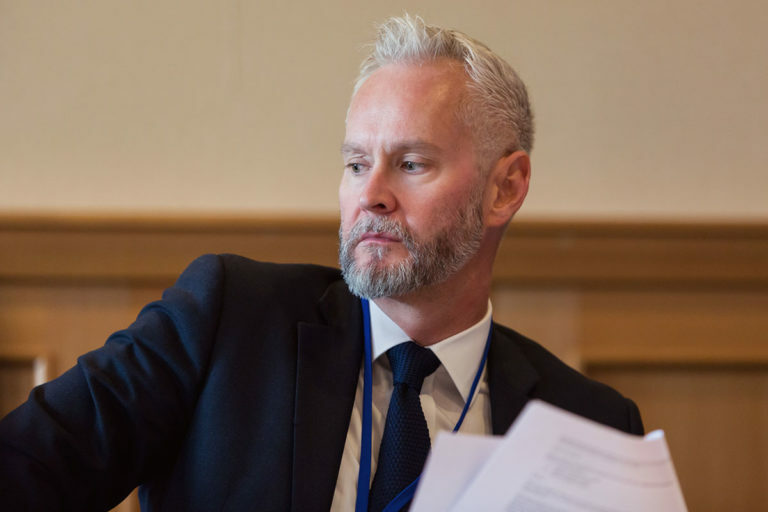 James Conroy is Vice Principal Emeritus and Dean for Global Engagement (Europe) at the University of Glasgow where he was previously Vice Principal, Internationalisation at the University of Glasgow. He has previously held the posts of Dean of the Faculty of Education, Head of Graduate School and Head of Department of Religious Education at the University. He is a leading philosopher of Education, focusing on epistemology, religion, culture and literature in education as well as policy and professionalism. He is the author of over 100 monographs, referred papers and essays. In 2014 his most recent volume was a prize winner in the Society for Educational Studies award for Educational monograph of the Year. In 2013 he was elected to a Fellowship of the Academy of Social Sciences. Professor Conroy has held large research grants from a wide range of funders including the charitable foundations, government and RCUK. 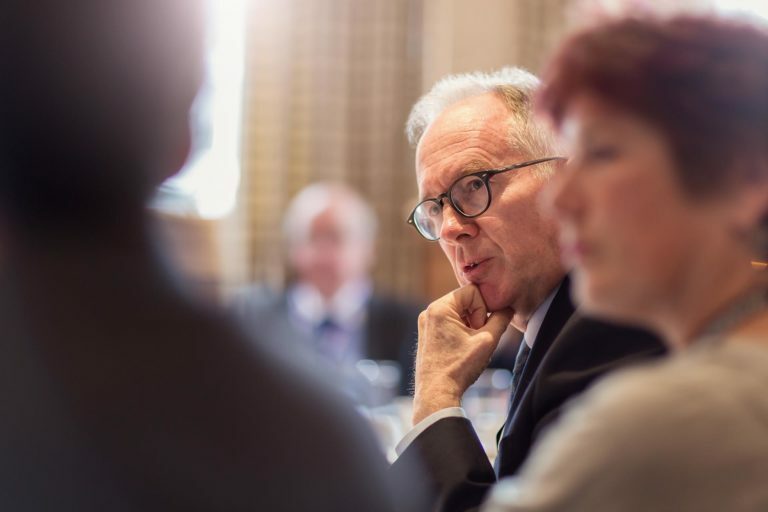 He has sat on a range of public and academic bodies including as non-exec Director of Learning and Teaching Scotland, UUK Mobility Board, Ministerial Review on teacher supply, AHRC programme Board, Research Excellence Framework and the Badman Review on Home Schooling. Jim has also served as a visiting Professor at FU Rio Grande do Sul, Fordham, Warsaw, ACU and, most recently, University of Georgia. Currently Chair of the Journal of Moral Education Trust, vice Chair and immediate–past Chair of the Philosophy of Education Society of Great Britain, he is also Past President of the International Association for Moral Education and was co-chair of the Philosophy network of the European Educational Research Association. Most recently he has acted as co-convenor of the Universities UK International committee of PVCs. He also sits on the editorial boards of 8 leading international journals and has conducted research reviews for a range of research intensive universities and for governments.. Together with Jan Palmowski at the University of Warwick, he established the GUILD of European Research Intensive Universities. 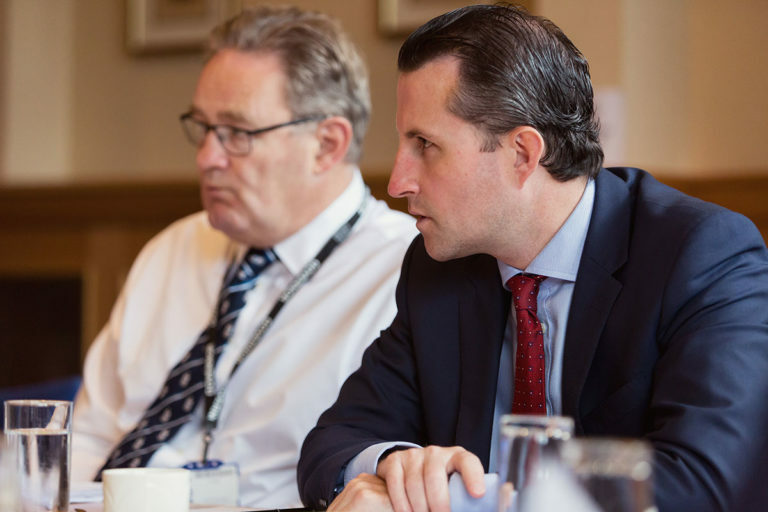 A former pupil of Dollar Academy and a graduate from the Universities of Glasgow, Stirling and Strathclyde he is the Regional Director for Rathbones Investment Management, based in Glasgow’s city centre. Married to Sorrelle and living in Uddingston, Angus has three daughters at Hutchesons’ primary school. As well as serving on a number of charitable Trusts he is a Director of the Merchants House of Glasgow and the Secretary of the Saints & Sinners Club of Scotland. Angus has a passion for sport having played rugby for GHK, Glasgow Hawks and GHA and cricket for Stirling County. He is now a keen but talentless golfer and spends much of his free time teaching his daughters that shopping is bad and boys are worse. I first walked through the gates of Hutchesons’ Boys Grammar School, as it was then, in September of 1967. It was the start of eight great years at Hutchesons’. My Sixth Year at the newly amalgamated Hutchesons’ Grammar School was, however, even better; some might suggest that had something to do with the arrival at Beaton Road of our colleagues from Hutchesons’ Girls’ Grammar School but I couldn’t possibly comment. After my time at Hutchesons’, I went on to study law at the University of Glasgow. Upon graduation, I joined a Glasgow firm as a trainee solicitor, and then became an associate and thereafter a partner in that practice. In 1989, together with three other founding partners, I established my own firm. I retired from private practice in October of 2005 and since then have been Company Secretary with two property companies and one engaged in retail. I am also a volunteer Trusts and Foundations’ consultant with a Glasgow based neurological charity. I have been actively involved in the Hutchesons’ community – the Former Pupils’ Club, as a parent, the HGSA, and as a member at GHA RFC – since leaving school. I am currently President of The Hutchesons’ Former Pupils’ Club and, as a result, became a Governor of the Hutchesons’ Educational Trust in February, 2018. I am proud to serve on the HET Board. To be invited to make a contribution to the life of the School and to the futures of so many fine and able pupils is an honour and a privilege. I take my role, and the responsibility, very seriously. Out with my family and my day jobs, my interests are all things Hutchesons’, all things rugby union, travelling, and reading. David attended primary school on the island of Bermuda at Saltus Grammar School. He relocated to Glasgow in 1985 and joined Hutchesons’ in S1, where he spent his entire secondary schooling. David graduated from the University of Glasgow with a first class honours degree in Law (LL.B. (Hons)) in 1994, followed by the Diploma in Legal Practice (Dip. LP). David is a Partner in the commercial law firm, Burness Paull LLP, based in Glasgow. 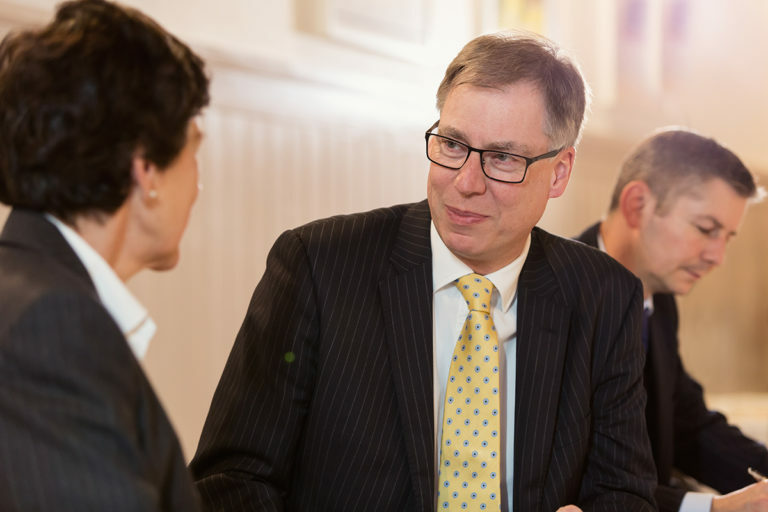 He has specialised in employment law throughout his career of 20 years and is an accredited expert in employment law (Law Society of Scotland). He also trained as an accredited Mediator. David represents employer clients throughout the UK and has particular expertise in trade union and labour relations. David is ranked in the top tier (Band 1) for Employment Law in the Chambers UK legal directory and featured as one of The Lawyer magazine’s “Hot 100” lawyers in the UK. David also sits on the board of the charity Street Soccer Scotland. David was proud to join the board of HET as it felt right at this stage of his career to contribute as an alumnus and parent. His objective is to add value to the HET Board on the Human Resources and employment law side in particular. With his two children now attending Hutchesons’ too, there was a sense of coming full circle being back at the school and on the Board. David joined the HET Board in August 2017 and is Vice-Convenor of the HR Committee. Outside of work, David’s interests include running, collecting Scotch whisky and reggae music. 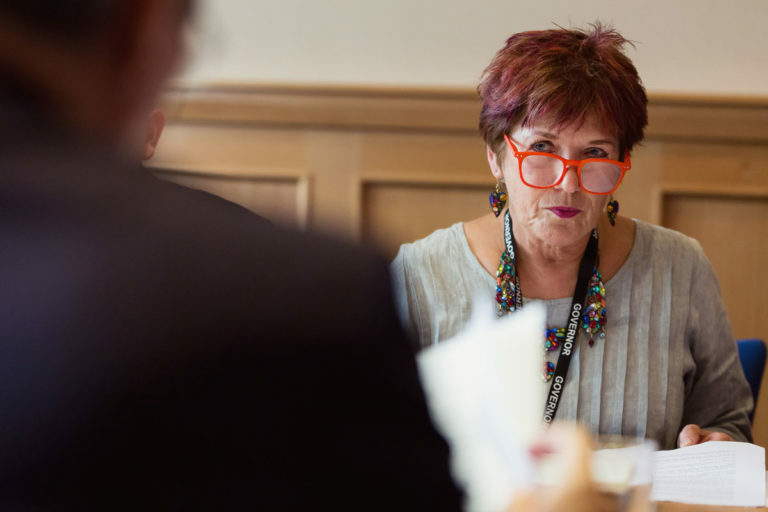 Professor Simmers has been a School Governor and member of the Education Committee since April 2018. She is an experienced professional, well respected in her field and used to working within a team at senior level. Initially trained as an orthoptist Professor Simmers gained an insight into clinical practice before embarking on a scientific career. Anita has a wealth of research experience in clinical and behavioural neuroscience both nationally and internationally as well as contributing to national Priority Setting Partnerships in sight loss and vision. 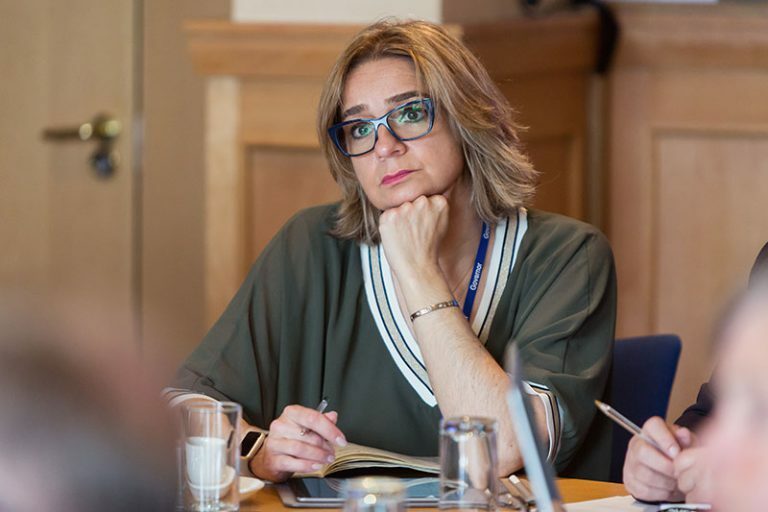 More recently she has taken up the role of Vice Dean, providing strategic, academic and operational leadership to the School of Heath and Life Sciences, Glasgow Caledonian University. As a parent of three I think it’s really important that children enjoy coming to school and feel happy, safe and valued as individuals. I am proud to work in a school which has such a positive, inclusive ethos and where the governing body work closely with staff to ensure a rich learning experience. Michael was Head Boy of Hutchesons’ in 1996 and went on to achieve a 1st class M.Eng from Glasgow University in Civil Engineering and thereafter qualifying as a Chartered Accountant. Michael has held numerous financial roles, both within the UK and Internationally, across the drinks industry. He has been the Chief Financial Officer of the Whyte and Mackay Group for over three years and was previously Finance Director at Tennent Caledonian Breweries and Group Head of Commercial Finance at AG Barr plc. Michael is rugby fan and coached mini rugby at GHA in his spare time. He also plays tennis and likes to go for a run. 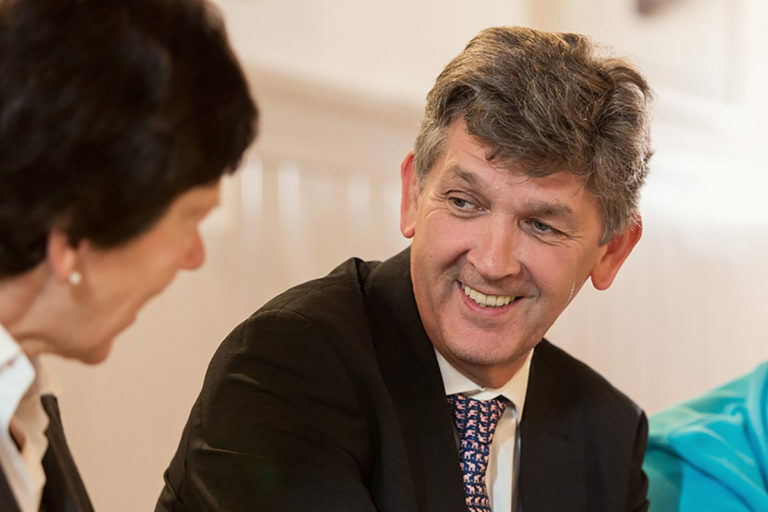 Michael joined the Board in August 2017 because he believes Hutchesons’ made a real difference in his life so wanted to give something back to ensure it continues to thrive and prosper for current and future pupils. I was educated at Cargilfield School and Fettes College. I qualified as a Chartered Accountant in 1991 having previously started my career with the Royal Bank of Scotland. I was Finance Director of Loganair Ltd in 1998-2000 before then setting up as a sole practitioner which I remain to this day. I was Chairman of Glasgow Junior Chamber of Commerce and then went on to serve on the Board of JCI (Junior Chamber International). I served on the boards of Glasgow College of Building & Printing, Glasgow Metropolitan College and City of Glasgow College for 15 years. I am a past Deacon of The Incorporation of Bonnetmakers & Dyers of Glasgow. I was Lord Dean of Guild of The Merchants House of Glasgow 2015-17. I am a trustee of various charities and was appointed a Deputy Lieutenant for the City of Glasgow in 2017. I joined the Board of Governors in 2018 as the representative of The Merchants House of Glasgow and serve on Property Committee. As a graduate of Glasgow University and as a Member of the Institution of Engineering and Technology, I specialise in the development and deployment multi-site infrastructure projects, such as mobile communication sites, renewable energy projects (such as large scale solar farms and wind turbines) and outdoor digital advertising displays. I have two children at the school, who both joined the school in Primary P1 so have experienced the benefits and support offered to parents and children at the school via my children’s experiences. Having spent two years as a year representative on the School Association, in 2018 I took on the role as the School Association Chairman and currently sit on the Trust’s Property Committee, as well as the main Board. Through my wife’s and my own family, we have long association with the school and it is an honour to help contribute to the future plans for Hutchesons’ Grammar School.